Samsung Galaxy S9 and Galaxy S9+ have started receiving Android 9.0 Pie with One UI. Samsung has started rolling out Android 9.0 Pie with One UI for the Galaxy S9 and S9+. The stable update to Android Pie for the Galaxy S9 lineup is available in Germany, reports SamMobile. Separately, Android Authority claims Galaxy S9 units are being updated to the latest Android 9.0 Pie update in UAE and Montenegro. It is unclear if Galaxy S9 devices in other markets, including India, are all receiving the update at once. According to SamMobile, the Android 9.0 Pie update file size is about 1744.24MB. Users can head over to Settings>Software Update>Download Updates. Once you download the update on the phone, the software version will change to G965FXXU2CRLI for the Galaxy S9+. Meanwhile, the software version for the Galaxy S9 will be G960FXXU2CRLI. The Android 9.0 Pie update comes with the December 2018 security patch. At its annual developer conference in San Francisco, Samsung announced its One UI user interface for its smartphones. One UI is based on Android 9.0, the latest version of Android mobile US. One UI aims to simplify and de-clutter the user interface that will run on top of Android 9.0 Pie. 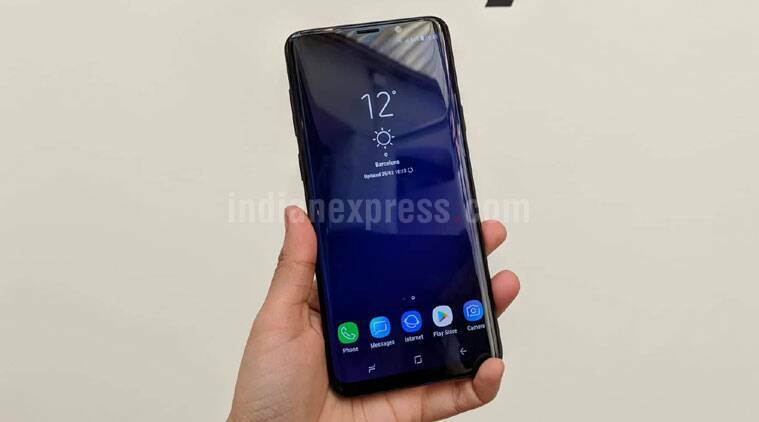 Earlier this month, Samsung had started rolling out One UI beta to its Galaxy Note 9 users in India. The South Korean major had initially stated that One UI will be released for the Galaxy Note 9, S9 and S9+ in January 2019, however, the company appears to have rolled out the new UI a bit earlier.